As a German Shepherd Dog breeder, one of my biggest concerns is getting my puppies into good forever homes where they will be loved, well cared for and become part of a caring family. Particularly with first time puppy owners, I spend a great deal of time pre-screening them for the perfect love match so that puppies I am responsible for bringing into this world do not end up homeless or in a shelter. After the new families are chosen, I spend even more time educating them and counseling them on dealing with their new puppy both before they pick up their pup and after they take the pup home. 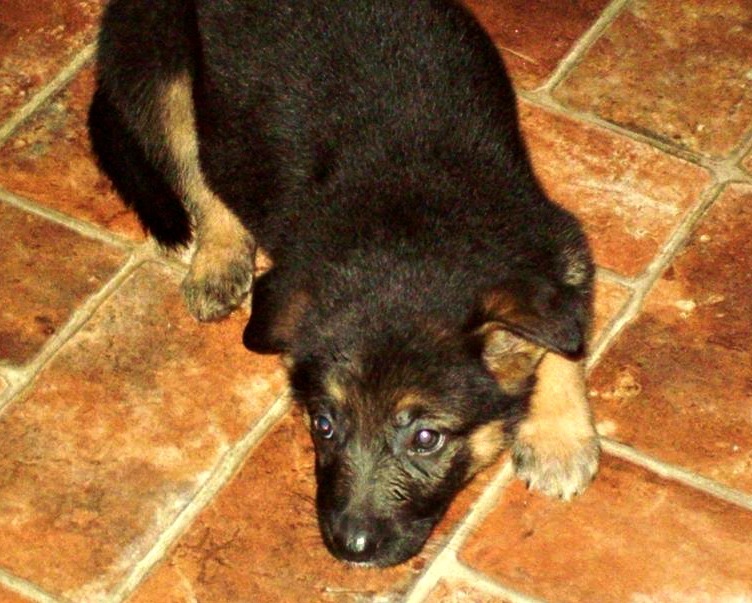 German Shepherd puppies are smart, full of energy, curious, and can be trying and incredibly destructive. That adorable bundle of fluff is so cute until he stands in front of you wagging his tail with your chewed up Louis Vuitton bag in his mouth. New owners need an ally like me, their breeder, to get them through the headaches and the heartaches of “Puppyhood”. But I’m human too – I have a family, I have to sleep, I have a life – so I can’t always be available to talk my new parents through the rough times in their fur baby’s childhood, especially at 3AM or while I’m in church on Sunday morning. and and definitely days like this – have you ever seen such a guilty face! Hallelujah and thank you to the folks at Purina Puppy Chow® for providing new puppy owners with Puppyhood.com , an online Puppy Advice/Info resource that is there for them 24/7. I’ve started including an information sheet on Puppyhood.com in the New Puppy Owners Packet that I send home with every puppy. At Puppyhood.com, my new owners will find information on Puppy Nutrition, Puppy Training, Puppy Grooming, and Puppy Healthcare. When a new puppy owner joins Puppyhood.com they get a customized learning experience that will take them and their new puppy on the journey to “doghood” with access to special features like a puppy milestone tracker, expert advice and puppy destinations and resources in their local community. There’s also helpful tools, exclusive benefits and coupons to help them on their way. As much as I try to prepare new owners for all that can go right and all that can go wrong, there will be unique instances in the puppy’s life that no one can anticipate. I want my puppy to stay in his new home, not have to come back to me, or God forbid, end up in a shelter or cast away on the streets. If new owners are armed with plenty of information, they can “puppy proof” their home. When I receive new inquiries about purchasing one of my puppies, I am sending prospective owners to Puppyhood.com to help them prepare for the journey while they await the arrival of their furry bundle of joy. 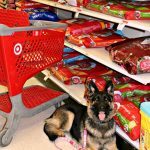 Puppyhood.com is a place where they can find all the information and puppy accessories and supplies they will need. Not every person who calls me is a good prospective owner for a German Shepherd Dog. The breed is high energy, highly intelligent, and needs a lot of attention and training. 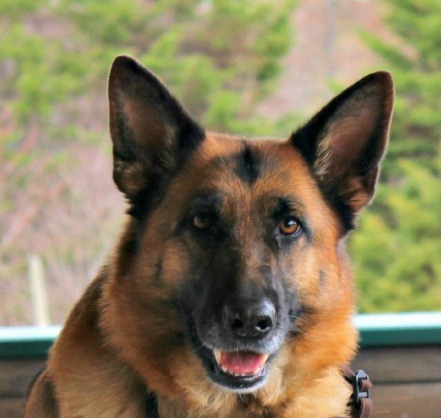 Well socialized and trained, there is no better companion that a German Shepherd Dog but they do not do well in situations where they are left alone for long periods of time, or in a busy family that doesn’t have time to spend with them and training them. I can now send these people to Puppyhood.com, where they can find rescue/adoption information to help them find the perfect puppy that will fit their family and lifestyle. The more time and effort you spend educating yourself and searching for your new puppy, the better chance you will have of finding your perfect canine companion. What Josh Billings wrote is so true, “A dog is the only thing on earth that loves you more than he loves himself.” May all puppies find the perfect family and life! Oh geeze. Now I’ve got puppy fever! LOL Thanks so much for taking the time to link up with us at the #HomeMattersParty – we hope to see you again on Friday! Thank you for sharing this. My husband and I are considering owning a dog for the first time (we both had dogs as children). We both love cats and dogs and don’t have children. I am trying to find out all the information I can about puppies before we decide on this step. You are doing the right thing! Do your homework, not only about puppies in general but also abut the breed you are interested in. Dogs are their DNA and there are some habits and tendencies that no amount of training will change.Take every aspect of your lifestyle into account – where you live, the amount of time you have to spend training the dog, the amount of time the dog will be alone during the day, grooming (can you live with tufts of hair floating through your home). Consider adopting from a shelter as they do a good job, for the most part, in vetting the dog’s problems, if any. If you decide on a specific breed, go to a reputable breeder. Stay away from bargain puppies in the shopper newspaper, and don’t always feel safe if you a purchasing a pup with AKC papers. Any two people with AKC registered dogs can get together and produce a litter of registrable pups for a quick buck. In the dog industry we call them backyard breeders. Look for breeders that have helped to insure the quality of their puppies by getting health clearances on the adult dogs before breeding. Yes, good purebred pups from a reputable breeder may seem expensive but a lot of work and money has gone into the breeding. Before I breed one of my dogs, I have over $1000 of testing done to rule out the chance of the dog passing on things like hip and elbow dysplasia, cardiac and ophthalmic issues, or DM. There is no greater joy than the companionship of a good dog, so take your time and choose the right one. As a former German Shepherd owner (mine was a rescue) I just cannot get enough of them. Now too old to be able to contemplate dog ownership of any kind – I do have a grand dog that has German Shepherd ancestry (among others!). However she exhibits many of the GSD characteristics. Do so agree that folks should be well prepared when they adopt a puppy – of any breed. Which is why this information pack you extoll here is very good news. Good luck with this litter and any others you become responsible for. Thank you. I am so looking forward to this litter. 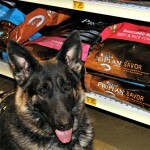 I breed to produce service dogs and search and rescue dogs. Malibu is in fact my mobility service dog, and she’ll be getting a few months off from her “duties” while she has her pups. But I always have 2 or 3 that we are in the process of training so I won’t be without a helper. She has such an outstanding temperament and high train-ability to pass onto her kids that it was something I had to do so as much as I will miss her daily help it’s a good thing..
My parents had a Sherman Sheppard that was just so smart. They are a special breed. He lived to be 16 and was fed only Purina Dog Chow along with some other treats that my Dad gave him. So many dogs end up in shelters and rescues, some because people were not aware of the work involved. I have rescued a dog, bought the other two from a friend who was a breeder. She was the same way, not everyone who calls her is a good candidate. Thank you, I think they are special but it is nice to hear it from other people. A lot of love and work goes into breeding good dogs! It is truly a labor of love but I enjoy the breed and want to improve it. I breed to produce service dogs and search and rescue dogs, but some don’t make the cut and those are the ones I place in family homes. 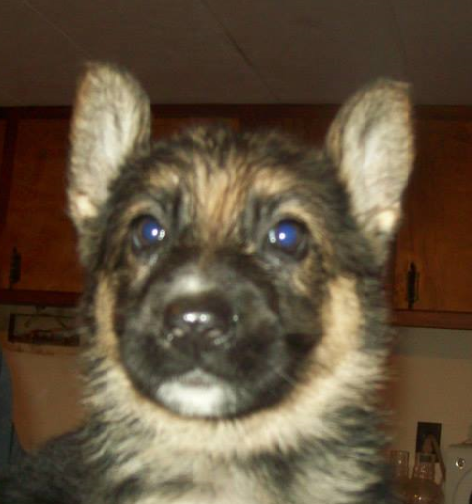 I vet prospective puppy owners carefully as German Shepherds need to be in a stable forever home. They attach themselves to their owners completely and it literally breaks their hearts if they have to change ownership. Thank you so much for posting this. So many people rush into getting a pet without thinking of the far-reaching responsibility and cost of having one. Our first dog was a wonderful German Shepherd. I could have used Purina Puppyhood back then. We went on to enjoy four amazing GSD and they remain one of my very favorite breeds. It is so nice to make yourself available to your new pup parents. It’s a must if I want my pups to be successful in their new home. 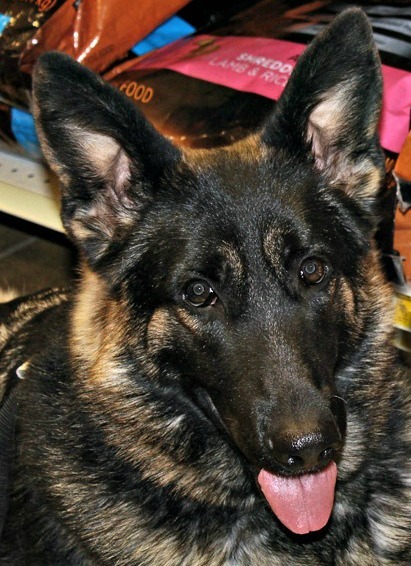 German Shepherds are an amazing dog but they are a unique breed being so smart that if you don’t train them, they will train themselves, and not always for the best. I make sure that new owners, especially first timers to the breed, are well prepared and matched with the best pup for their situation. A sign of a responsible and reputable breeder is that they are available for their puppy owners from the day the new bundle goes home. That is fantastic that you make sure your new puppy owners know you are there for them to answer questions and to be a resource but so true that there are times when you aren’t going to be sitting next tot he phone or computer waiting for the phone to ring or email to pop up. This is a great resource for those times to help during the wait. An Ocean and a language barrier divide Davinia and Indiana’s Breeder and me from day to day communication but I know that she would be there no matter what. I do however wish that Purina’s new site was around when Indiana was an itty bitty baby.